Redevelopment for new and exciting retail centre in Glenorie! Tenancy 107 will be fitted with a grease-trap making it an ideal location for a cafe/food outlet. Ample parking is available for customers. The space is versatile and would suit many retail types such as medical specialists, optometrists, florists, barbers, travels agents - the possibilities are endless! Over 50% of retail space leased already! 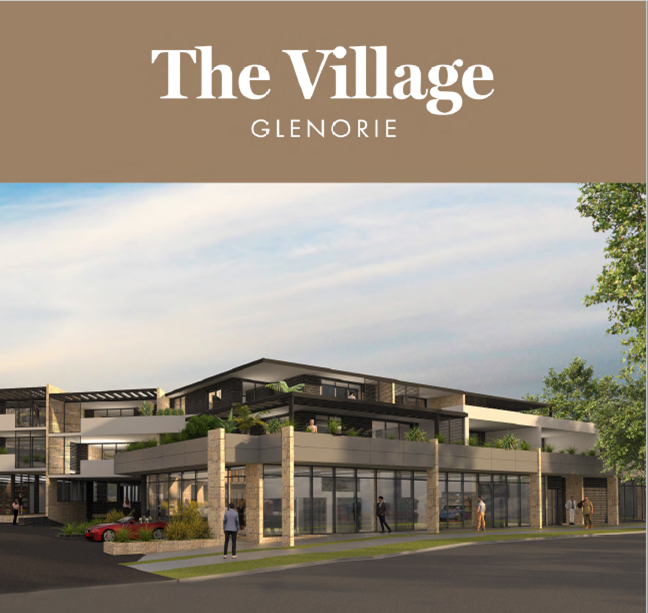 Incorporating 2,998 square metres of retail space and more than 350 square metres of office space, The Village Glenorie will be the centrepiece of the area. The tenant mix includes a boutique opulent gymnasium, Glenorie’s landmark award winning Glenorie Bakery, butcher shop, newsagency, post office, dentist, hair and beauty salons, gifts and homewares and a proposed child care centre. There are also 20 beautifully appointed apartments for sale at The Village Glenorie that will include the highest standards in finishes and appliances. The Village Glenorie is located on the corner of Old Northern Road and Post Office Road in Glenorie in Sydney’s North West region directly opposite a major supermarket. Please contact our office for further information on this rare opportunity within The Hills District.